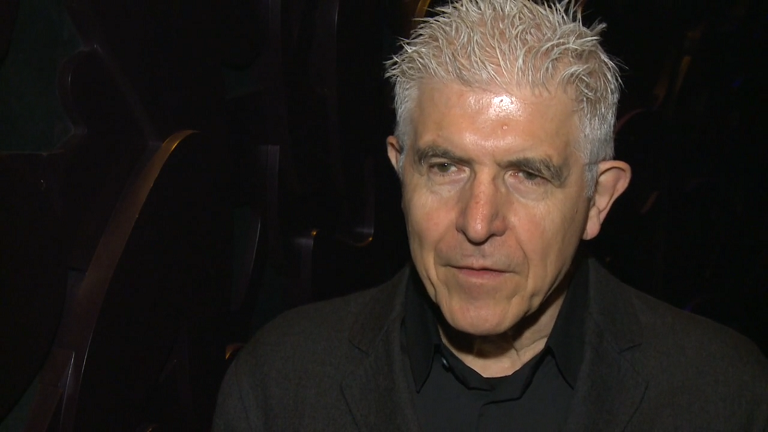 Sound artist Bill Fontana has been experimenting with technology and noise as a form of sculpture since the 1960s. Some of his works have crossed continents as he’s worked with radio waves, some have found permanent homes, such as the Sonic Mapping sculpture in the entrance hall of the MAXII Museum in Rome. All of them explore our relationship with sound, and the world around us. In particular his works play with the idea of making hidden sounds – the sounds that we overlook every day – both audible and visible. He even extends his experiments to sounds that cannot be heard by the human ear. A bell that does not ring. The sound of the sand in the desert. He has travelled the world, working with sounds of the desert in Abu Dhabi for his 2014 sound experiment Desert Soundings, and visiting the Large Hadron Collider in Geneva for his 2013 Acoustic Time Travel work. And he has been exhibited in museums around the planet, such as the Whitney Museum of American Art in New York, the San Francisco Museum of Modern Art, Cologne’s Museum Ludwig, London’s Tate Modern and Tate Britain museums, and the 48th Venice Biennale. In 2015, as part of impuls –the International Ensemble and Composers Academy of Contemporary Music – the AVL Cultural Foundation invited Fontana to Graz to speak about his work. His lecture, Acoustical Visions and the Phenomenology of Sound, gave insight into his understanding of sound, his artistic sound experiments and a behind the scenes look into his latest projects. During his visit he took time to meet with AVL’s acoustic engineers, and learn what role sounds plays in the development of the motor vehicle, and the driver’s relationship with it.